[prMac.com] Vancouver, Canada - AnalystSoft announces the release of StatPlus:mac, a revolutionary package that enables Mac users to perform data and statistical analysis in a familiar Microsoft Excel for Mac environment. StatPlus:mac supports Microsoft Excel 2004 for Mac and the Beta version of Microsoft Excel 2008 for Mac. 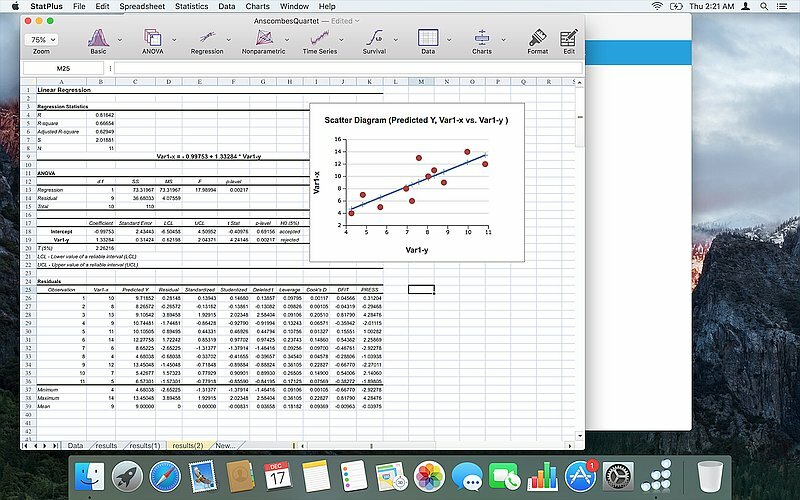 StatPlus:mac is available for free download. The promo cost of registering the program is 200 US Dollars; discounts for academic institutions, such as colleges, universities, schools and research labs are available. AnalystSoft is a company providing data analysis solutions and development of leading edge custom software that will help you solve your analysis problems. We have experience in a wide range of fields, with a special emphasis on software development for high performance computing, simulation, data analysis, and data representation.